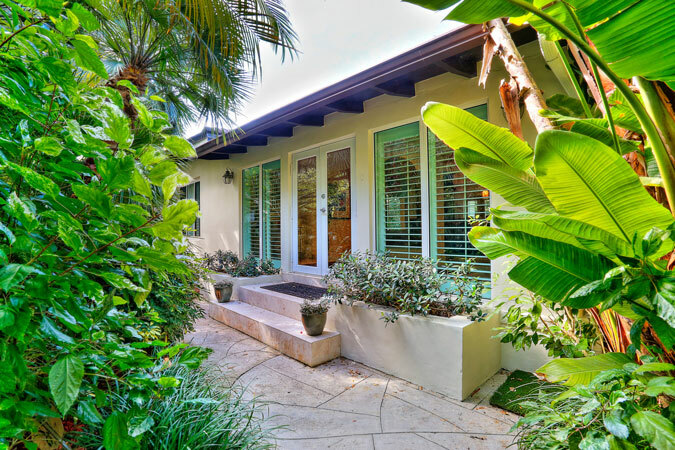 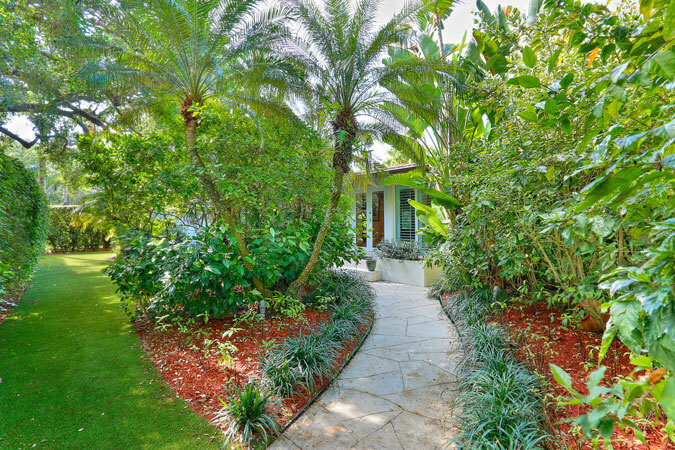 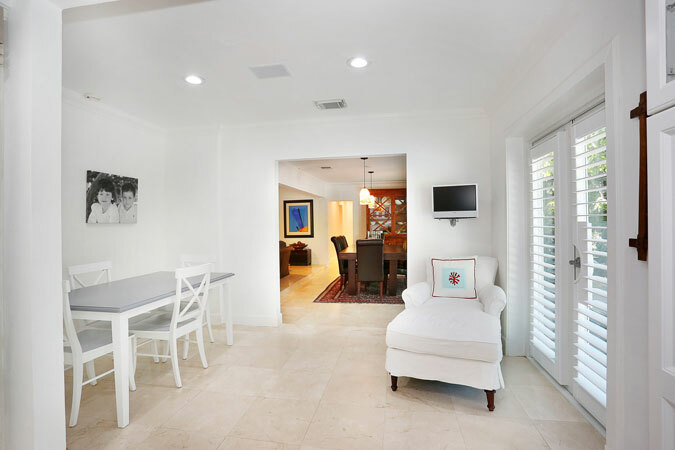 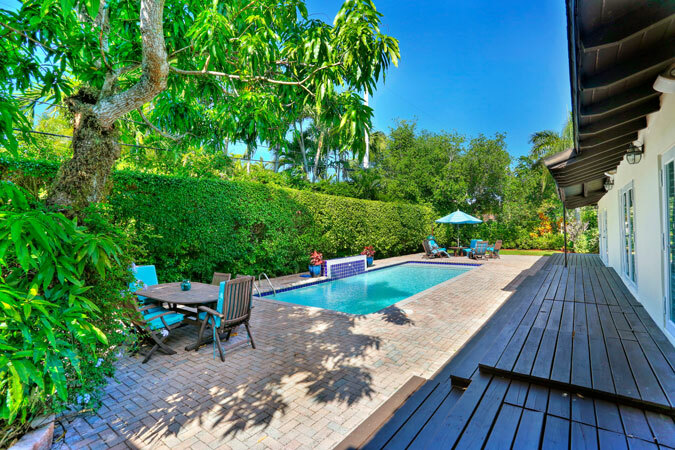 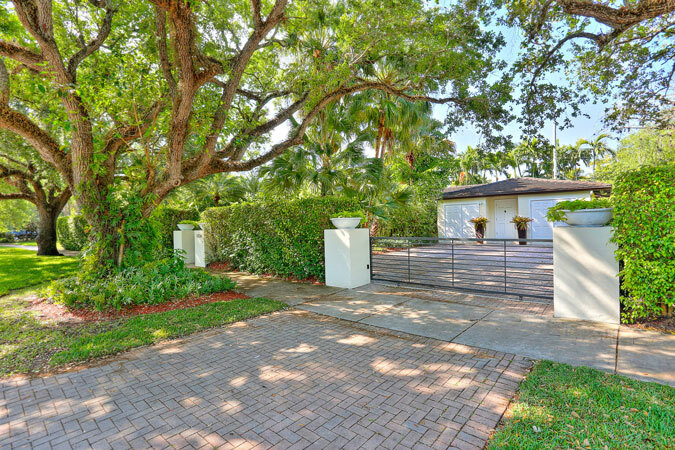 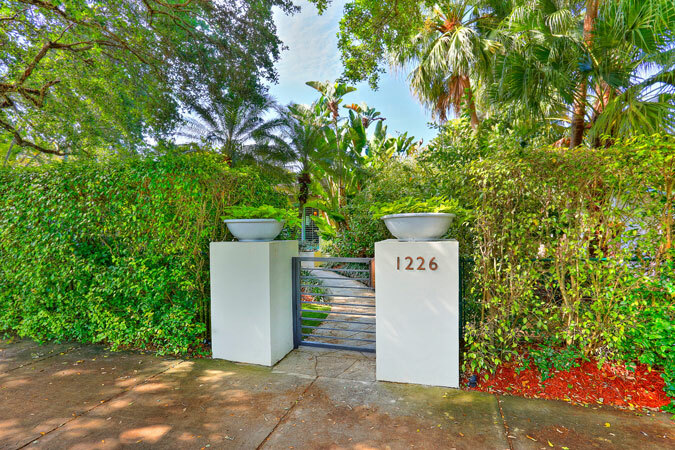 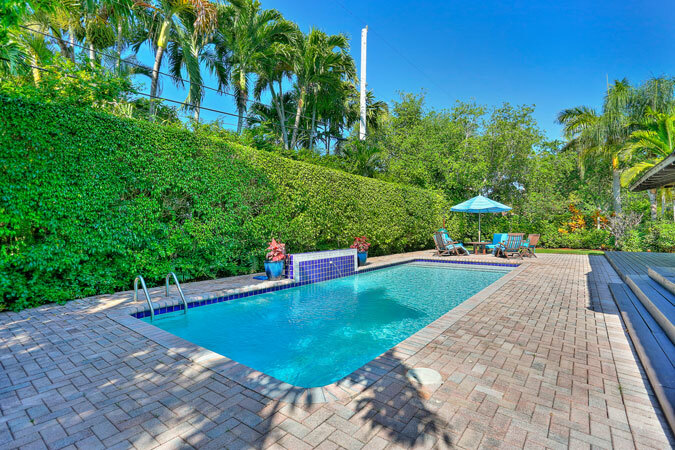 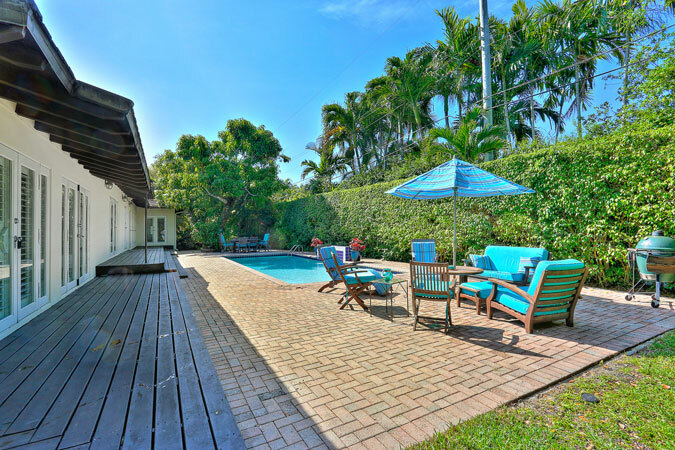 Hidden away behind a thick privacy hedge, this 4 BR, 3 BA home is located in the heart of the South Gables w/easy proximity to South Miami and so much more! 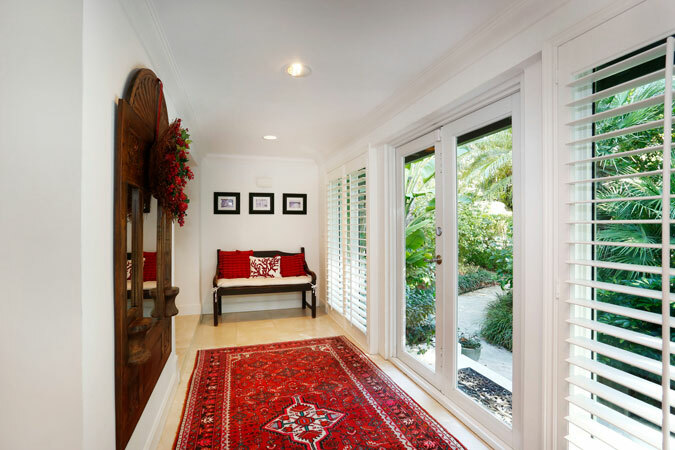 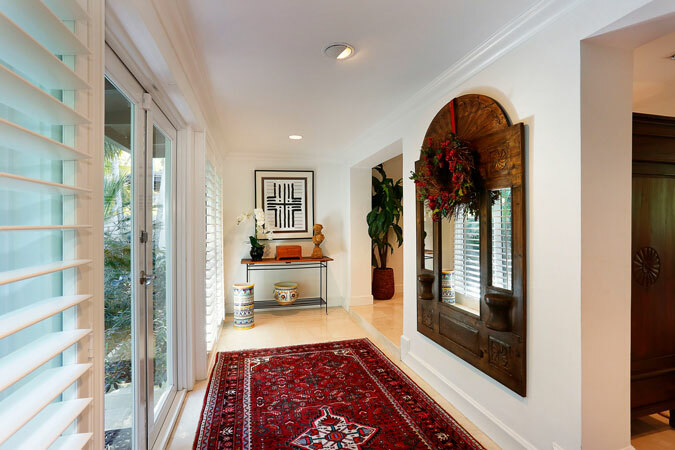 Foyer entry leads to the formal living & dining rooms, then step through the spacious breakfast area into the newly redone kitchen. 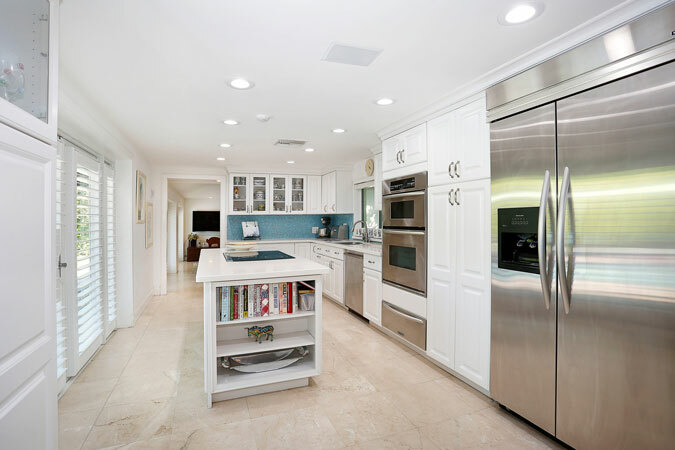 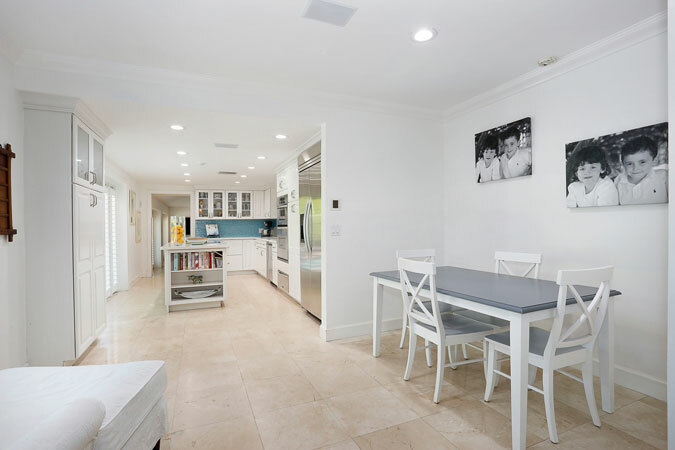 With clean white cabinetry & stainless steel appliances the kitchen is a classic! 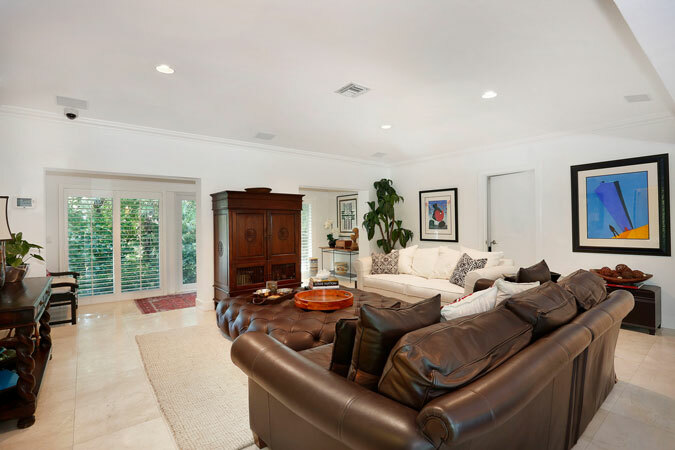 Off of the kitchen is the large family room. 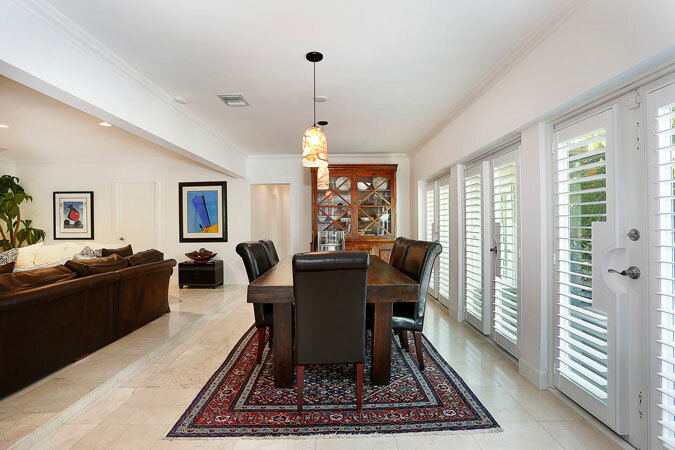 Dining rm, kitchen, & fam rm open to the spacious deck & pool/patio area beyond, which makes this the perfect indoor-outdoor entertaining home. 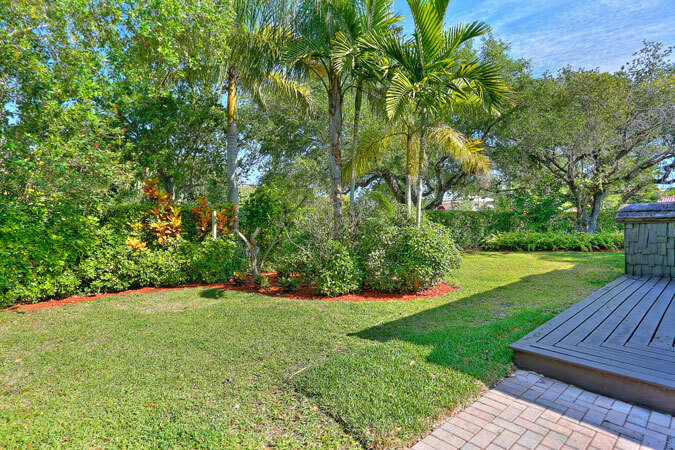 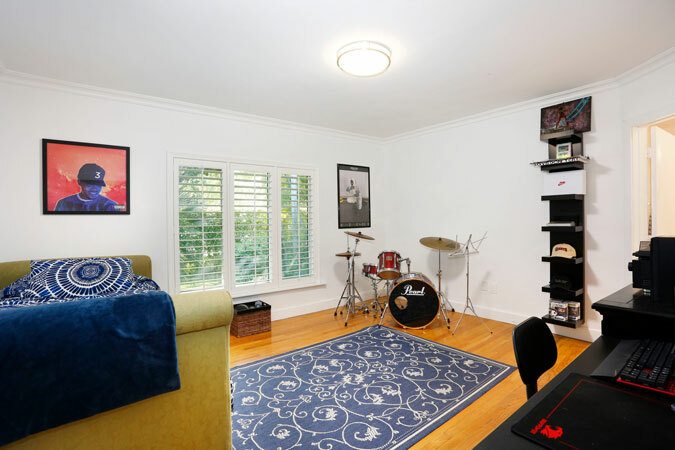 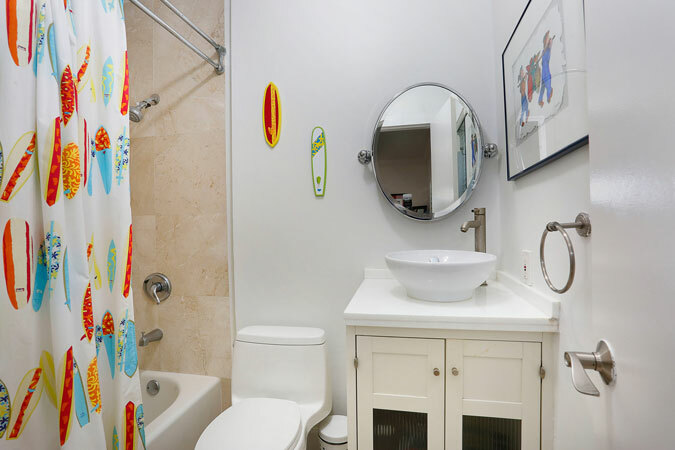 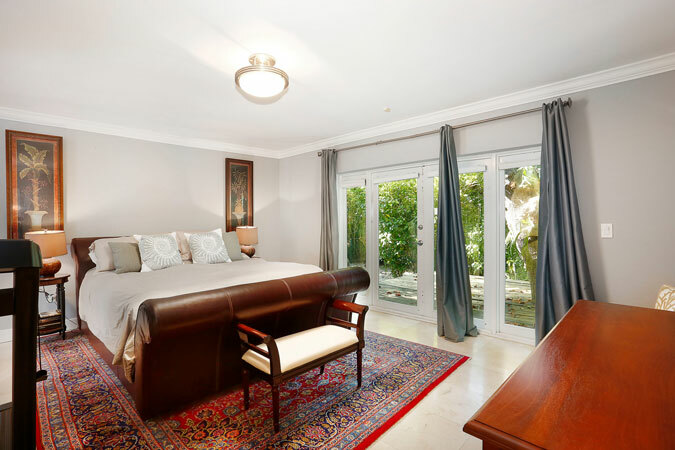 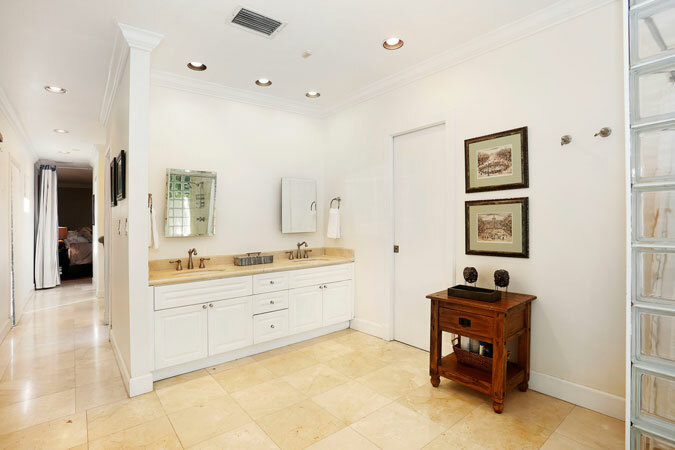 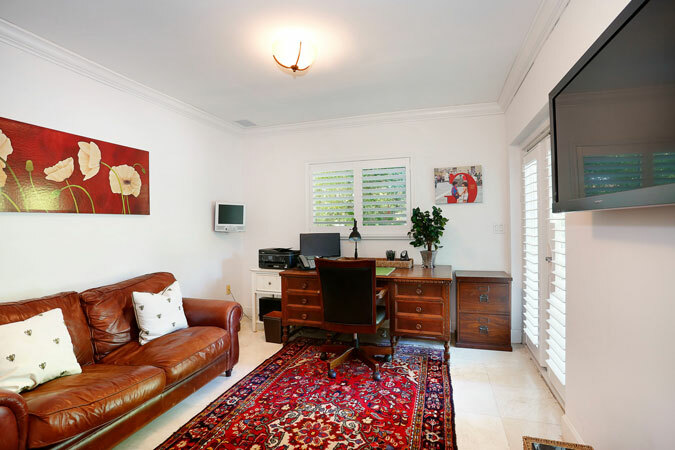 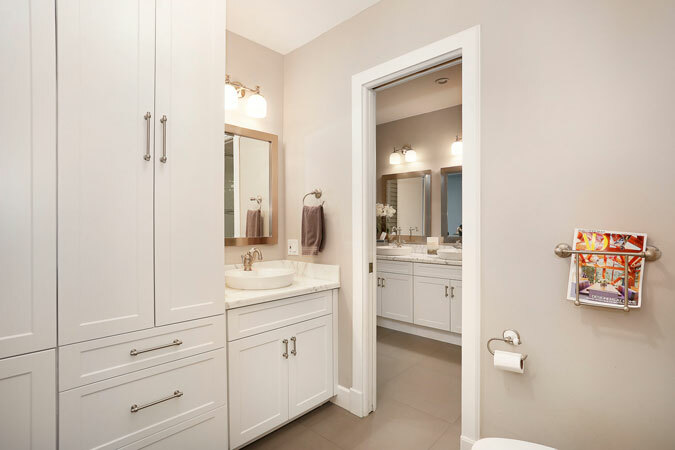 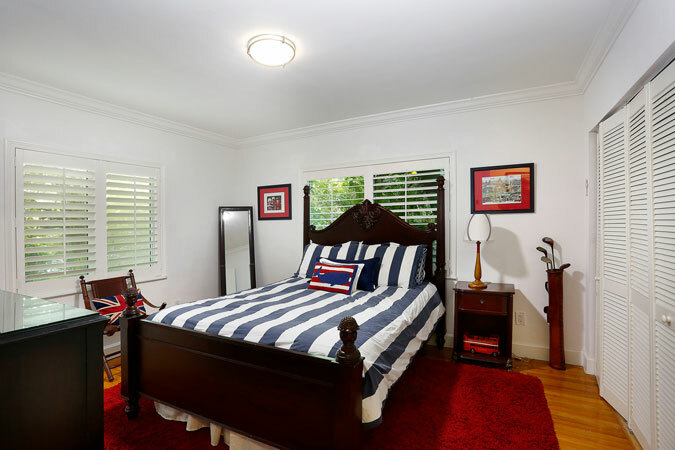 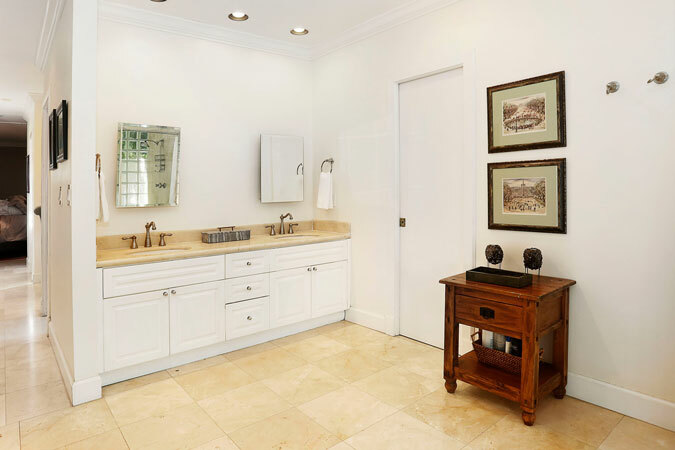 Large master has its own patio, lovely bathroom, & ample walk-in closet. 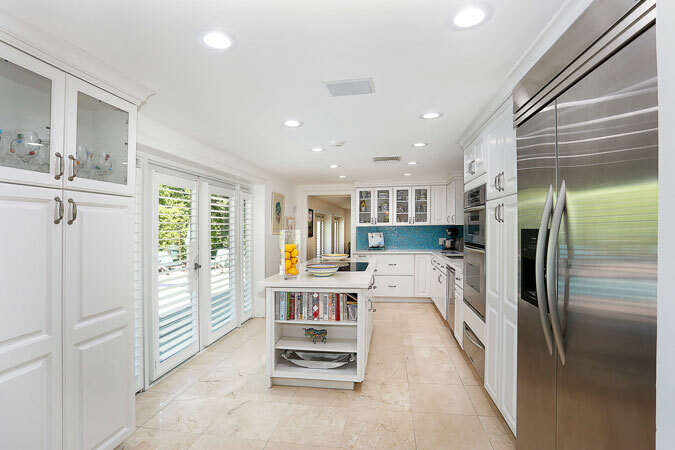 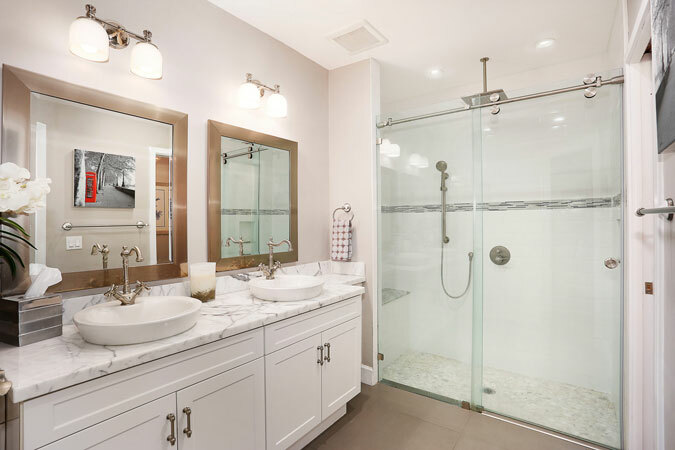 Impact glass thruout, plantation shutters, marble flrs, split BR plan, walled & gated 15,946 lot, Sunset Elementary District, & more in a fabulous location!